300 visitors turned out at the Tuscaloosa tour stop of the WanderbUS, showing their excitement for all things German! 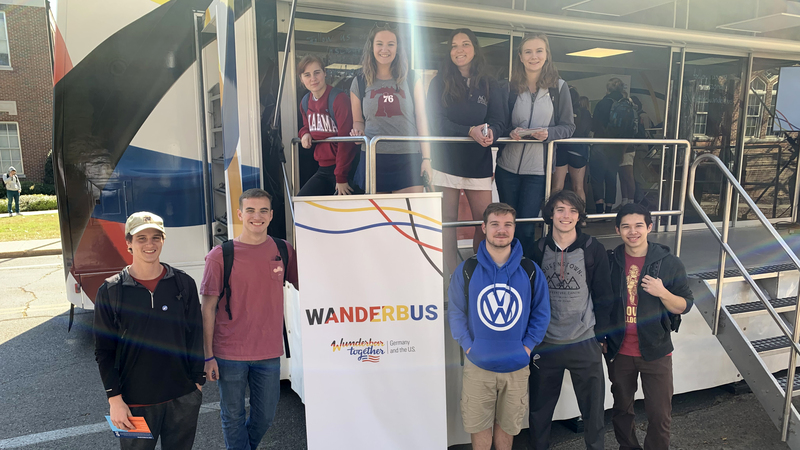 Packed with games, virtual reality experiences, and lots of other cool things to explore, the WanderbUS and its team will travel to all of the lower 48 states before October of this year. Our team will provide thousands of students the opportunity to discover the many ties between the United States and Germany, learn about contemporary Germany and, of course, polish their German language skills.